‘Then She Was Gone’ is the thrilling new book by Lisa Jewell. She was fifteen, her mother’s golden girl. She had her whole life ahead of her. And then, in the blink of an eye, Ellie was gone. It’s been ten years since Ellie disappeared, but Laurel has never given up hope of finding her daughter. And then one day a charming and charismatic stranger called Floyd walks into a café and sweeps Laurel off her feet. Before too long she’s staying the night at this house and being introduced to his nine year old daughter. Poppy is precocious and pretty – and meeting her completely takes Laurel’s breath away. Because Poppy is the spitting image of Ellie when she was that age. And now all those unanswered questions that have haunted Laurel come flooding back. What happened to Ellie? Where did she go? Who still has secrets to hide? When it comes to Lisa Jewell, I’m a huge fan of her book, I love and admire how she has transcended beautifully from writing romantic fiction to psychological thrillers that grip you at every page and her latest book is no different. In this book, we meet Laurel, a mother who’s daughter disappeared one day and was never found. She doesn’t believe that Ellie ran away, her daughter was happy and about to start her exams and prepare for her bright future ahead, she had no reason to leave. Years later, there is a discovery and finally Laurel can put Ellie to rest but she’s left with a lot of unanswered questions. Laurel decides to move forward with her life, trying to take an interest in her other children’s lives, as she felt she neglected them with Ellie’s disappearance. And with moving on, Laurel meets Floyd, a handsome man with an outspoken and mature daughter called Poppy, who really reminds Laurel of Ellie. As the story progresses, it is seen through different narratives all giving various perspectives to the tale. As well as the various narratives, the story also travels back and forth in time, setting the scenes. Laurel is a guilty mother, guilty that she lost her child as well as being guilty of having a favourite child. She tries to form a bond with her other daughter Hanna, but she pushes her away, tired of being second best. When she meets Poppy, she’s curious about the old fashioned child with an opinion on everything and is drawn to her and her father who has brought some happiness into her bleak life. I adored this book and have to say that I think it’s my favourite book by Lisa to date. The chapters are short, so it’s very easy to keep reading and thinking “just one more chapter before bed” and that’s how I ended up reading into the early hours! I loved the characters and found them to be engaging, relatable with their troubled that all made for compelling reading. 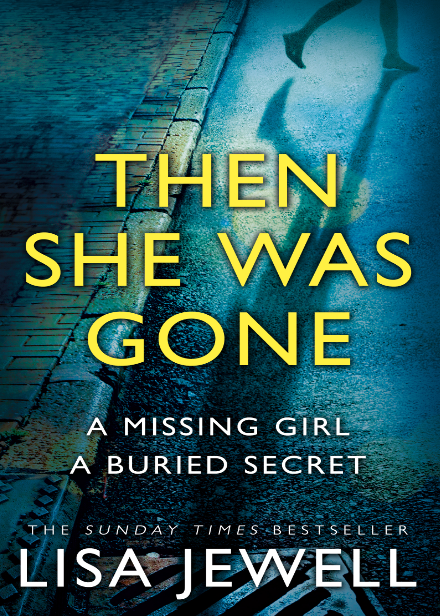 A fast paced thriller with just the right mix of psychological and poignancy to keep the reader on their toes,’Then She Was Gone’ is a cleverly written and delicious read that is perfect for fans of Nicci French. You can pre-order Then She Was Gone from Amazon and will be available to buy from good bookshops from 27th July 2017.